Move over slots and table games -- there's a whole new kind of online gambling now! This week Intertops Casino unveils a new multiplayer shooting game called Fish Catch. Bet on whether or not you can hit your target! Also, with Chinese New Year around the corner, the new Wu Zetian Chinese slot game from Realtime Gaming is also being unveiled this week. In the Fish Catch game players first choose which of four ponds they’ll fish in. There are 20 different fish to catch and every underwater creature has its own unique value. Depending on the weapon they choose, players can win up to 10x their bet if their aim is good. Triggered at random and awarding instant wins, the Mermaid’s Luck feature gives players a spin on a Roulette wheel for more underwater rewards. This innovative new game’s maximum payout is 1000X the bet. Realtime Gaming has been releasing new Chinese slot games regularly over the last year or so. The latest is the new Wu Zetian a tribute to the Empress of the Golden Age with Connecting Symbols and up to 50,000X payouts. Hated by gods and men alike, China’s only female ruler, Wu Zetian, is said to have had the heart of a serpent and the nature of a wolf. In the exotic new slot game bearing her name, when three Gongs appear, day turns into night and symbols on 3, 4 or 5 reels connect into giant symbols and trigger up to 5 free spins. Available until January 31, 2019. 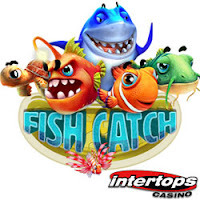 The most trusted online casino, Intertops Casino has been entertaining players all over the world for more than twenty years with hundreds of games from Realtime Gaming.